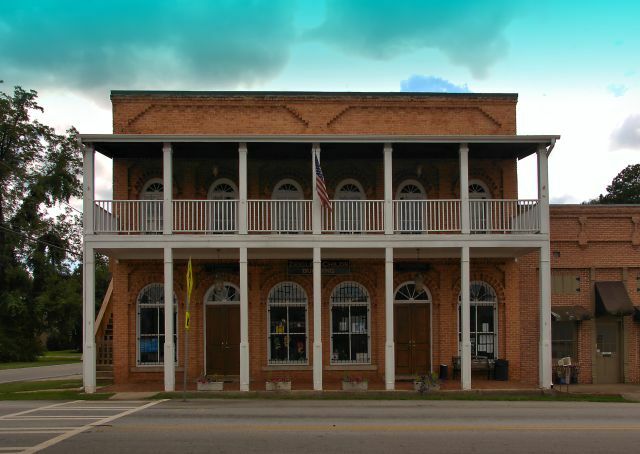 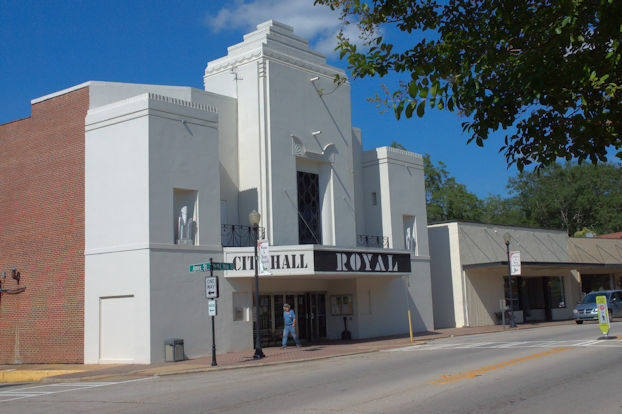 This commercial block has most recently been used as the city hall and police precinct. 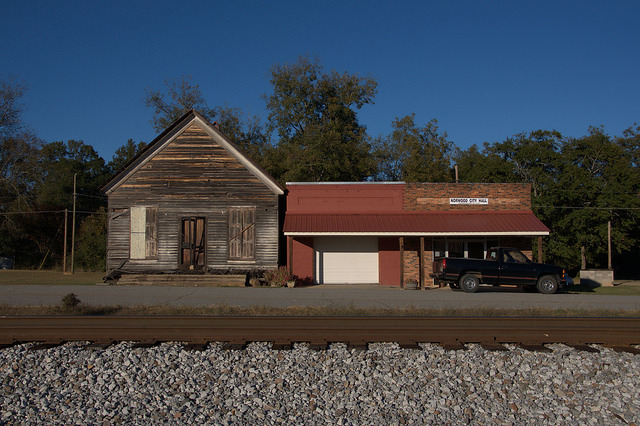 Railroad service was discontinued in Meansville in 1977. 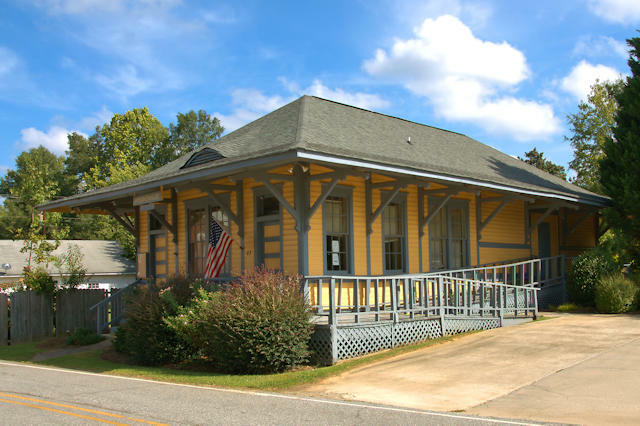 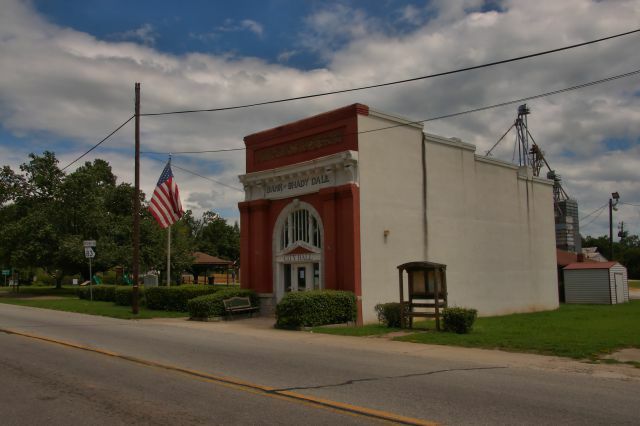 Today, this restored depot serves as Meansville City Hall. 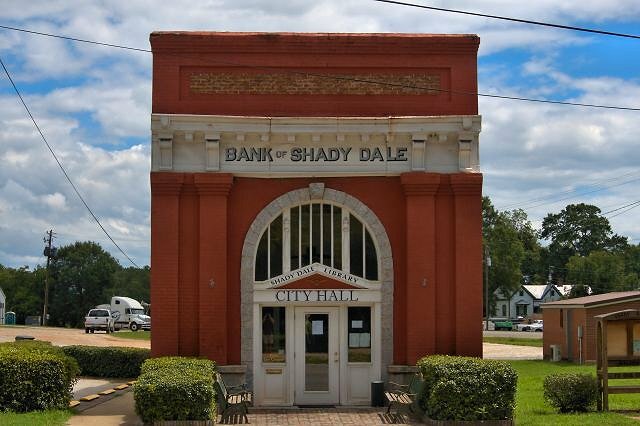 After its initial use as a bank in the early 1900s, this landmark has served as the post office, city hall, and library. 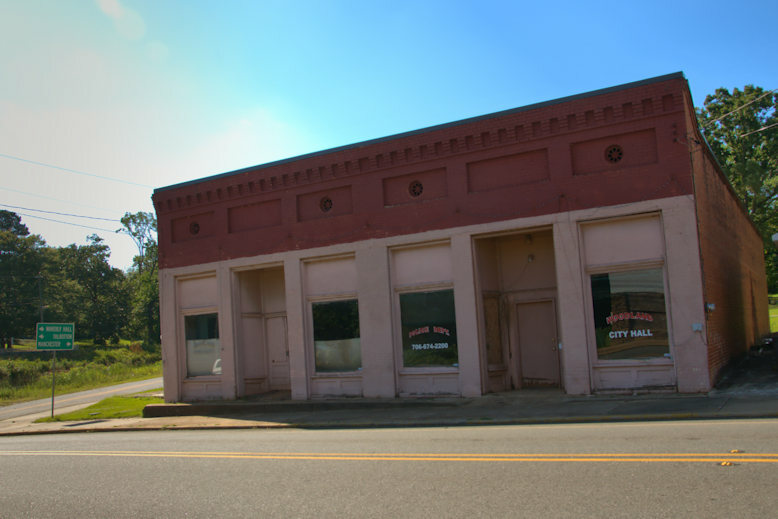 It’s all that remains of a once-thriving row of commercial storefronts. 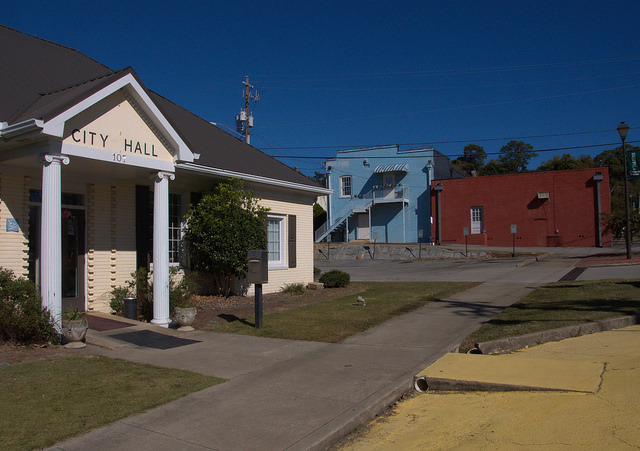 As of February 2017, the wood frame building on the left has been torn down.